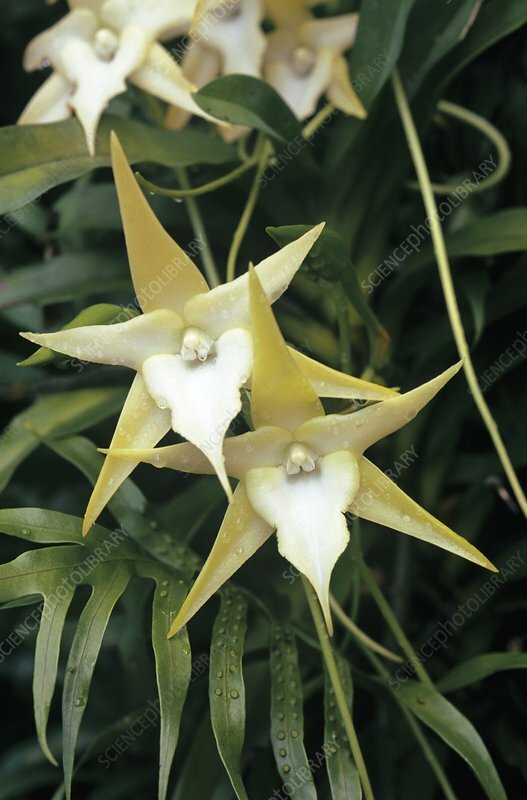 Comet orchid (Angraecum sesquipedale), also known as the Madagascar star or Darwin orchid. The nectar tubes of this orchid can measure up to 30 centimetres long. The orchid attracts the hawk moth Xanthopan morganii praedicta which has a proboscis the right length to enable it to feed on and pollinate the flower. Darwin successfully inferred the existence of this moth, based on an examination of the flowers of this plant. Photographed in Madagascar.